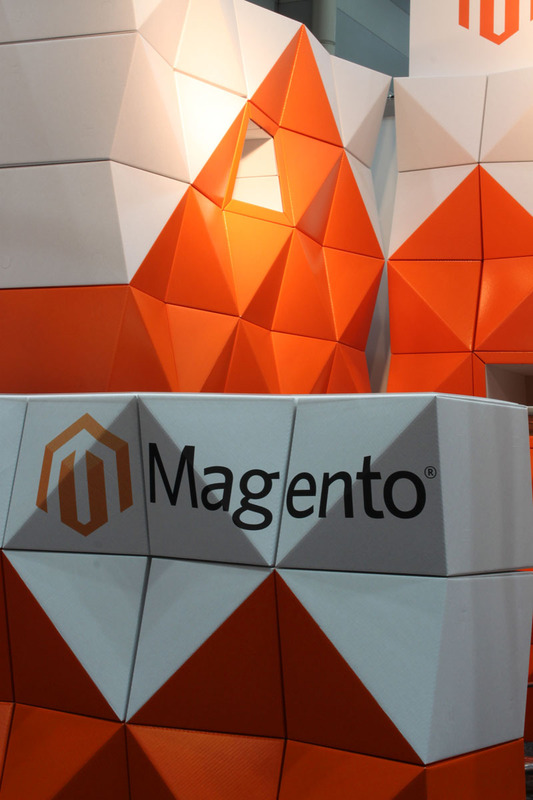 Fold Theory worked with marketing agency George P. Johnson to design a simple stand for software company Magento. 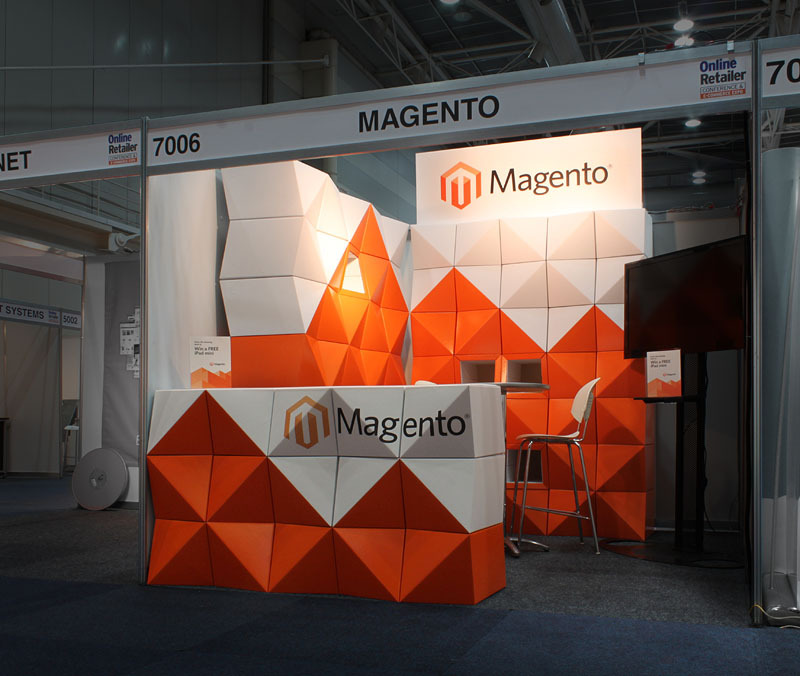 Built from 85 identical cardboard modules joined together without glue, at the end of the three-day Online Retailer expo in Sydney, the stand was flat-packed and stored for re-use. Made from approximately 60% post-consumer waste, at the end of its useful life it is 100% recyclable. Prototype product available for purchase. 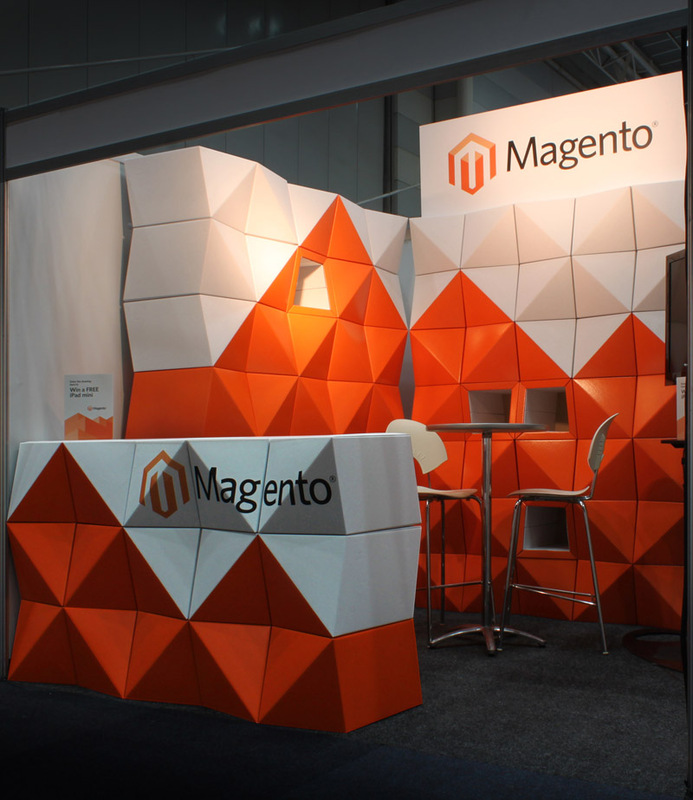 Location: Sydney Convention and Exhibition Centre, Darling Harbour, New South Wales, Australia.